It's 4 am. It's dark, quiet, and I'm alone, lying on my back. I'm comforted by a soft mattress and the fluffy, clean embrace of pillows and a down comforter in my hotel room at The Village at Squaw Valley. It's Thursday, two days before the Western States Endurance Run. Why am I awake? I was hoping to sleep until 9 am. Within 20 minutes the disheartening reason is revealed to me. I had contracted what I then thought to be food poisoning and now believe to be some kind of stomach virus or flu. For the next four hours my body would desperately and relentlessly try to rid my GI tract of it's undesirable tenants. Morning progressed and I struggled to embrace the reality that I may not be able to start the race of my dreams. The race that I spent years trying to gain entry to; hundreds of hours and thousands of miles training for. 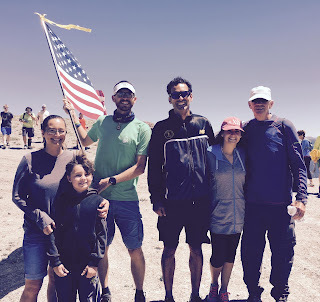 Not wanting to miss the entirety of the pre-race events as well, I gathered myself and my family, pretended to feel well, and via tram and a 1-mile hike, headed up to the escarpment to enjoy the flag raising ceremony. At this point I had not shared the news of my infirm and peaked state with anyone outside of my family. I saw my friend Jen Z. and on the verge of tears, quietly broke the news to her. 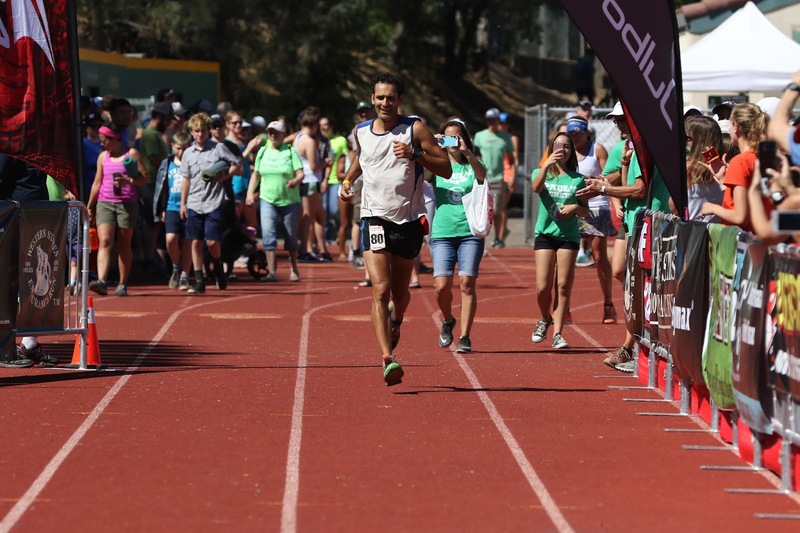 She immediately put a positive spin on my maligned condition, telling me my body was cleansing, resetting, and that I would feel fresh and renewed on race day. I worked hard to believe this over the next two days. The ceremony was wonderful. I'm glad I went. As it ended my energy levels plummeted. I stumbled down the mountain to the tram where I would focus on not vomiting during the 15 minute glide down the mountain. I hurriedly trudged across the village back to my hotel room, arriving there at 2 pm. By 5 pm as my body cycled through sweats and chills, I sobbed. I would not leave my room again until after noon the next day. Friday came and I was still sick, but feeling better. I hashed out final details with my crew. In an effort to convince myself I tried to tell people I was feeling near-normal. It was ~5 pm and I had eaten nearly nothing during the last 36 hours, but was now able to take in a few bites of spaghetti and made myself 3 "protein shakes" (mixed Naked green machine juice with protein powder). At 7 pm I lied down in bed and was asleep by 8:30 pm. Trying to feel strong less than 2 days before the race. 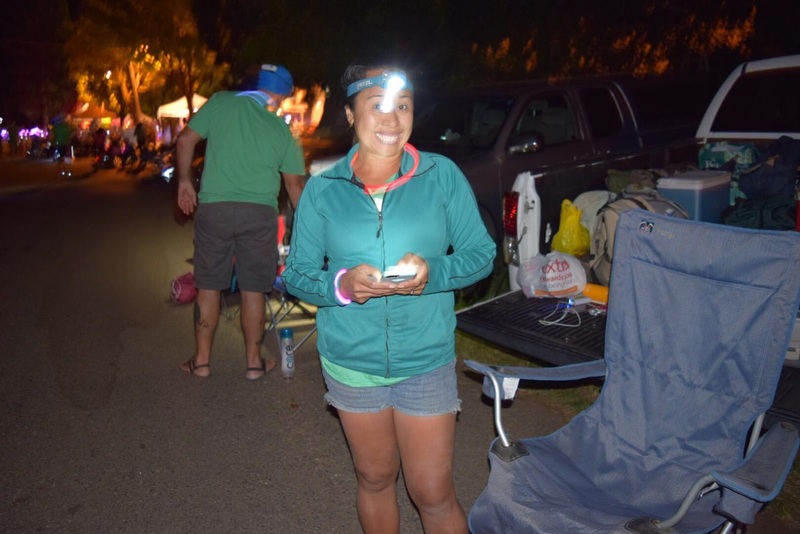 I woke at 4:10 am, gathered my gear, walked to the staging area and among the mass of runners, families, and crew, quietly sat down alone at a table. I flagged down my family, Jen, and Charito. I ate four chewy granola bars and a bite of a muffin that didn't taste good. 10 minutes to go. I (think I) told everyone I felt great and made my way to the back of the starting chute. It was time. The day was upon me. 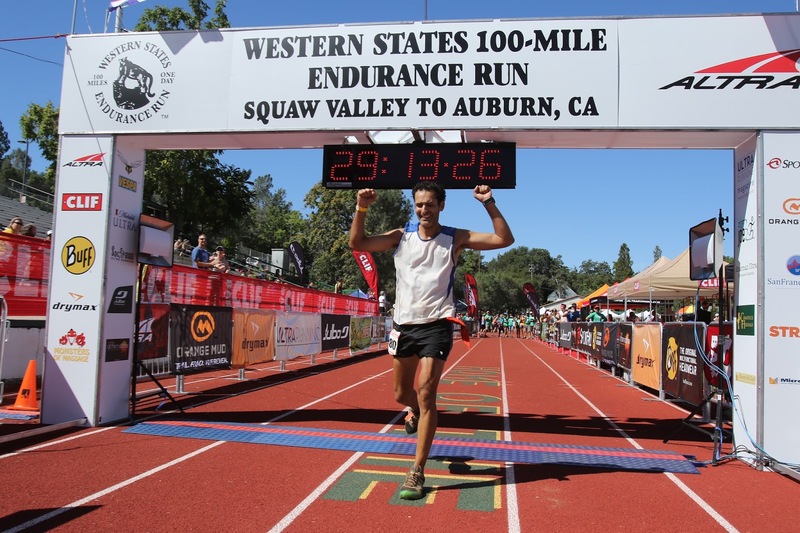 My 2016 Western States 100 Mile Endurance Run had begun. As was always the plan, I started my journey solidly towards the back of the pack, marching up towards the sky. Luminescent balls of light, perched on ski-lift towers guided our way. The meadows of the Olympic Valley, providing bedding for a wistful fog, began to glow in the morning light, which along with the elevation I'd gained afforded views of the majestic Lake Tahoe. I high-fived friends, smiling, and doing my best to believe. Resolved to stay in the moment, dissociating from the insurmountable mountains and distance laid out before me, I strived to ignore my elevated heart rate and the obvious sense that only 2-3 miles into the first 4 mile, 2,500 ft. climb of the race, my body was not responding as it usually does. My energy levels were deflated and what would typically be easy for me was a struggle. Enjoying the first mile with my buddy Jon. 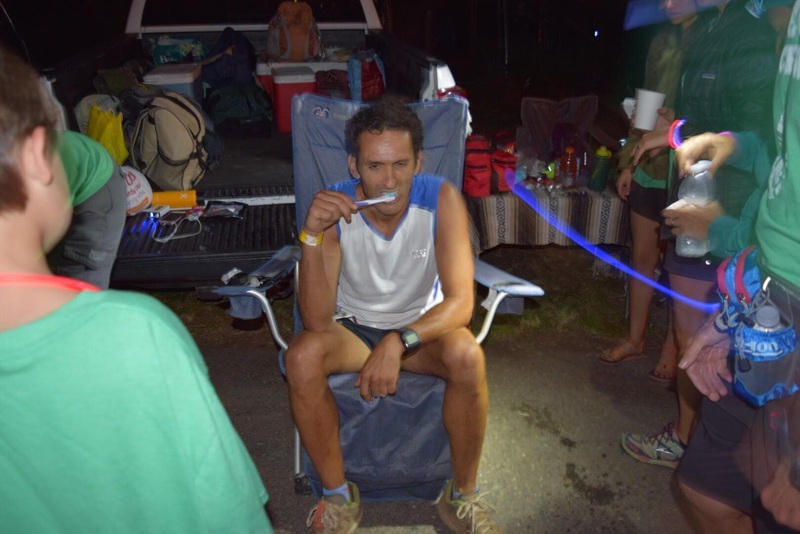 Less than one hour and three miles into a 100 mile race, exuberance had given way to despair. I was nearly in last place. Only a handful of runners plodded up the mountain behind me. I felt that given the difficulty I was having with the first climb, there was no way I would be able to stay ahead of the cutoff and that I would likely be pulled from the race by mile 16 at Red Star Ridge. My thoughts went to all of my family and crew and friends who had come to see me and would not. They would learn I had dropped from the race before it really even began. My mind dangled the perfect excuse in front of me. I was sick. If I was feeling bad now, how would I feel in 70 miles (not that I would make it that far)??? Certainly nobody, even myself, expected I could run 100 miles across the Sierra Nevada after having come down with the flu. These thoughts danced through my mind. For the first time of the day I cried, but moved quickly to re-focus. Knowing very well that thoughts of desperation and concession have no damned business in a 100 mile runner's mind, I acted quickly to dispel them. Can I take another step? Undoubtedly. Are any race officials asking to cut off my wristband and revoke my number? Certainly not. Are any bones sticking out? No. 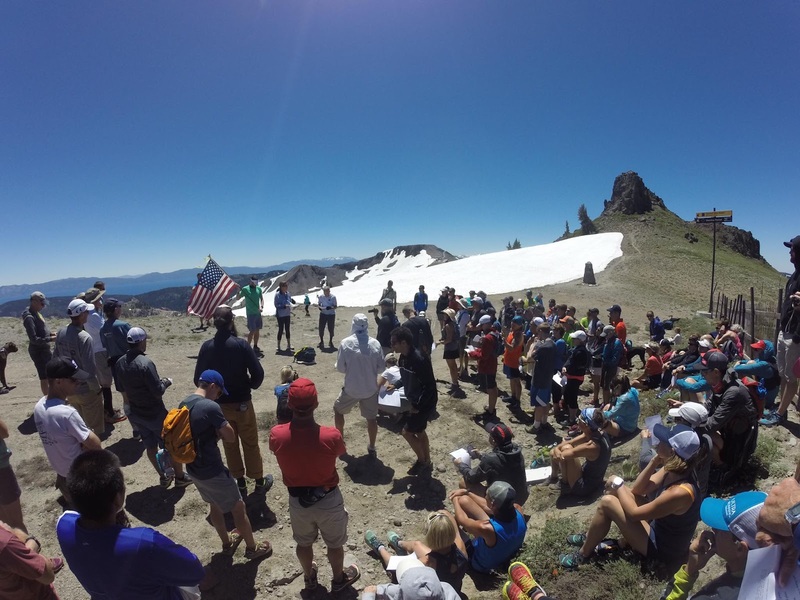 I reminded myself why I was here, of my plan, and my one goal: "to traverse the Sierra Nevada and the mighty canyons of the American River, arriving in the Gold Rush town of Auburn in under 30 hours." 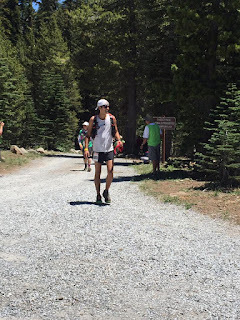 (Rossmann, Antonio "In a Race of Endurance, A Victory of the Spirit" Los Angeles Times 27 June 1985) An hour and fifteen minutes after I had begun, I crested 8,750' Emigrant Pass, the highest point on the course, and pressed on into the high country of the Granite Chief wilderness. Made it over the top. For the next several miles my thoughts did their best to betray me. 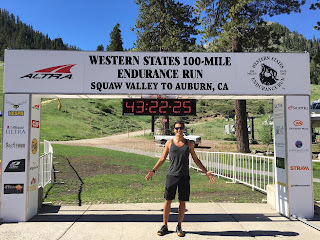 I was constantly aware of how sluggish I felt, certainly too sluggish to be attempting a 100 mile run. Yet here I was on the course, in the race. Moving slower and feeling worse than I had ever imagined at such an early stage, but moving nonetheless. The mountains were having a beautiful day. I had been warned to be patient here. That the single track trail would be crowded and to resist the urge to pass my fellow runners until the trail widened out many miles later. I had no such urge and was so far towards the back of the field that there were in fact no crowds at all. I was running alone. I enjoyed the majestic views. My heart rate spiked whenever I encountered inclines, despite my snail's pace. 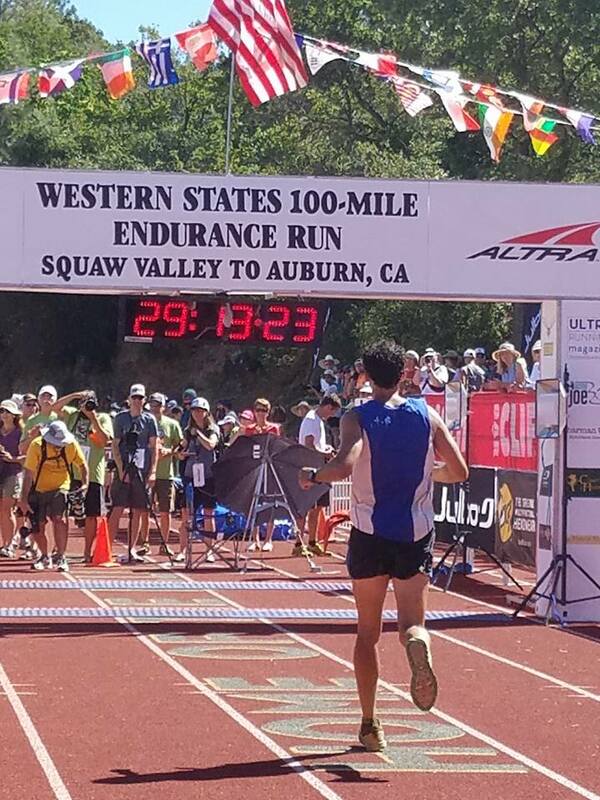 I've always planned to run Western States one step at a time, focusing on making it from aid station to aid station. 10.5 miles and nearly 3 hours into my day I made it to the first one, Lyon Ridge. I grabbed a small potato and continued through, stopping for 15-20 seconds at most. I climbed past Cougar Rock at mile 13 and moved onward to Red Star Ridge where I put my big smile on and was welcomed by a handful of familiar faces (Jodie, Dan, Sarah, Stephanie, and more). 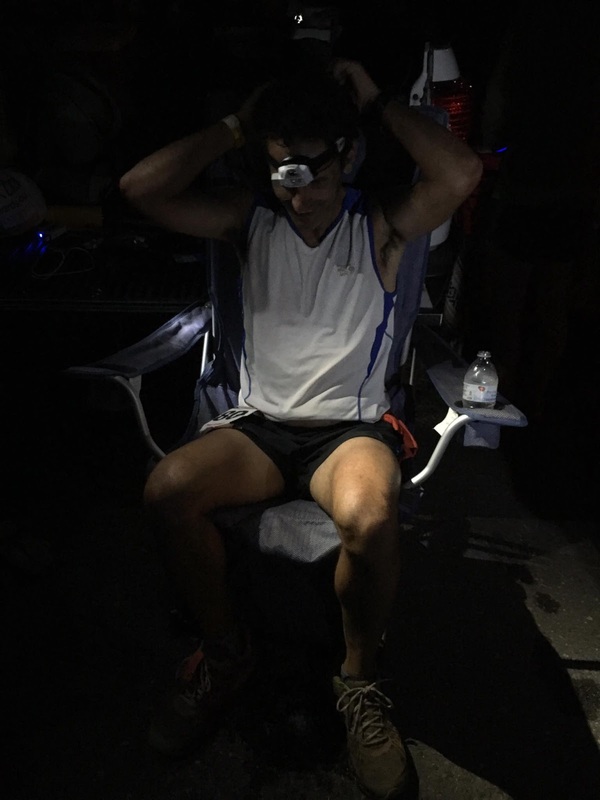 I hurried through the aid station. Upon arriving at an aid station I would take off my pack and hand it to a volunteer, asking that it be filled with ice and water. I then quickly browsed the food available, usually grabbing a potato or piece of fruit, reclaimed my pack and headed back on the trail. Less than 90 seconds. Moving on, I acknowledged that while I clearly wasn't feeling bushy-tailed or sprightly, I was not feeling worse. 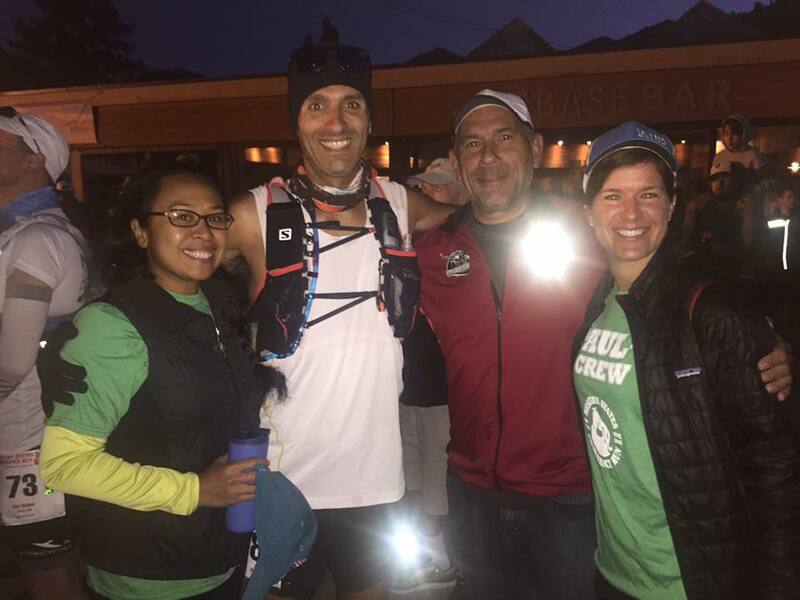 I was looking forward to seeing my crew for the first time at Duncan Canyon, mile 23.8. 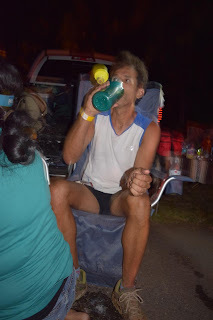 Scott and Roger were there and jumped into action, getting my pack filled with ice water, and getting some Vitargo (my carbohydrate drink mix) into my water bottles. I remember they mentioned that "time was important". Knowing that my depleted energy wasn't giving me much to work with, I frustrated-ly uttered "I'm sick, there's not much I can do". I chugged a few hundred calories worth of Vitargo, took some with me, and moved on. I was 30 minutes ahead of the cut-off. Approaching Duncan Canyon Creek, I recognized a guy from Alabama (the only guy in the race from there). I had met him on the tram in Squaw on Thursday. He seemed like a great guy and was excited to be in the race. At this point, he was sitting down on the trail in the shade of a small bush. As we approached him another runner stopped to check on him. I heard him say he was having trouble breathing. My heart went out to him as I figured his race was likely over considering how far back we were. I knew he had help with him and continued on without stopping. When I got to the creek I laid down, submerging myself completely. I stayed there and soaked for maybe a minute hoping to lower my core temperature a bit ahead of the arduous ~1,500', 4-mile climb to Robinson Flat at 7,000'. 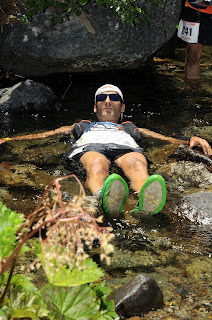 Enjoying a soak in Duncan Canyon Creek. Mile 26. As advertised, the climb to Robinson felt long and difficult. I was moving slowly. I reached the top, spent some time walking briskly (all day, my "flat-ground" walking pace was ~15:00-16:00 per mile) and allowing my heart rate to settle. Once my heart rate was under control I began running again. Roughly a half-mile before I reached the aid station, I heard the air horn sound three times, indicating that runners had 30 minutes to leave the aid station without being pulled from the race. I finally arrived at Robinson Flat in 8.5 hours, well over an hour later than I had planned. My crew swarmed to me, tending to all of my needs. I changed into dry socks, I loaded up on ice and Vitargo. The air horn screamed twice. Twenty minutes until the race cut-off. 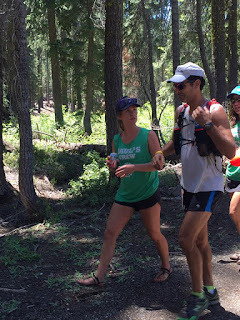 Jen reminded me that I had made it through the unfamiliar territory and that I was headed to the canyons, which would be familiar to me and feel like home, but it was also the hottest and maybe most challenging 30 miles of the course. The countless days I spent traversing back and forth through the steep and rugged terrain of these canyons had to pay off now or I was doomed. My crew was utterly supportive and uplifting to me, but I felt I could see the fear and possibly the doubt in their eyes. 18 minutes before the race cut-off, my companions escorted me back to the trail and I continued on my journey. Moments after I left them, certainly while they could still see my back, my eyes welled up with tears, my soul with fear, and I sobbed. Once again, doubt and despair consumed me. As I crested the climb out of Robinson Flat the apathetic air horn sounded once more. 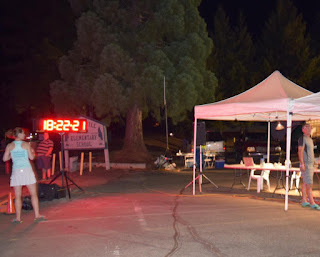 Those remaining in the aid station had 10 minutes to get out, less they be pulled from the race. Rounding the eastern slopes of Little Bald Mountain, the trail trended downhill on what I knew to be a descent of more than 16 miles, including a 13 mile stretch ending at the Last Chance aid station commonly referred to as "The Western States downhill half marathon". For those with quads or hips already in bad shape or who are ill-prepared for downhill running, this can be a particularly punishing and demoralizing stretch of the race. I had been thirsting for this section. 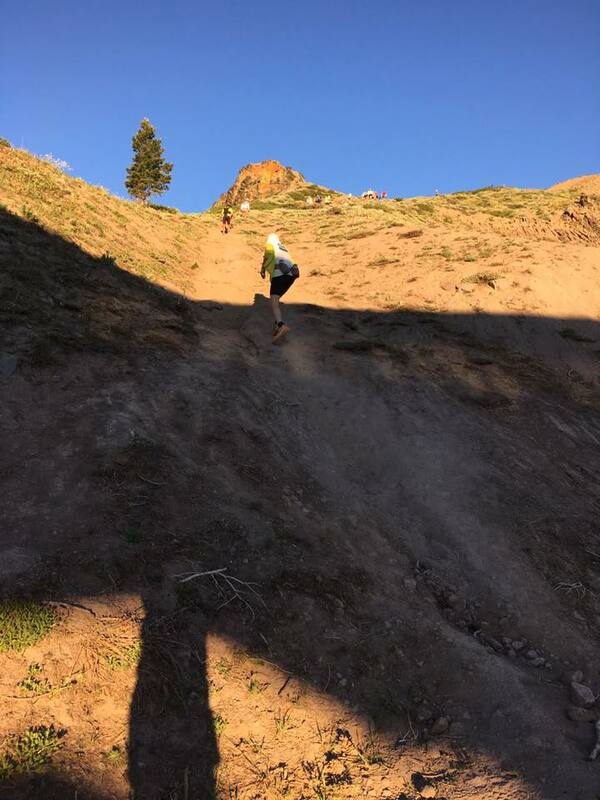 While my energy levels had been suspect all day and my heart rate was spiking alarmingly quickly on uphill sections, my legs and joints felt fresh. I hadn't the slightest hint of muscle or joint soreness or stiffness. I ran gently. The hot, dusty trail rose to meet my feet. I stayed calm. Over the next nine miles I passed 49 people. Ever so slightly I gained confidence. I found Scott and Roger at the Dusty Corners aid station, replenished my stores and continued. In nine miles, my cushion from the cut-off had grown from 16 minutes to 40 minutes. Maintaining my current pace I arrived at the Last Chance aid station 5.5 miles and a little over an hour later. 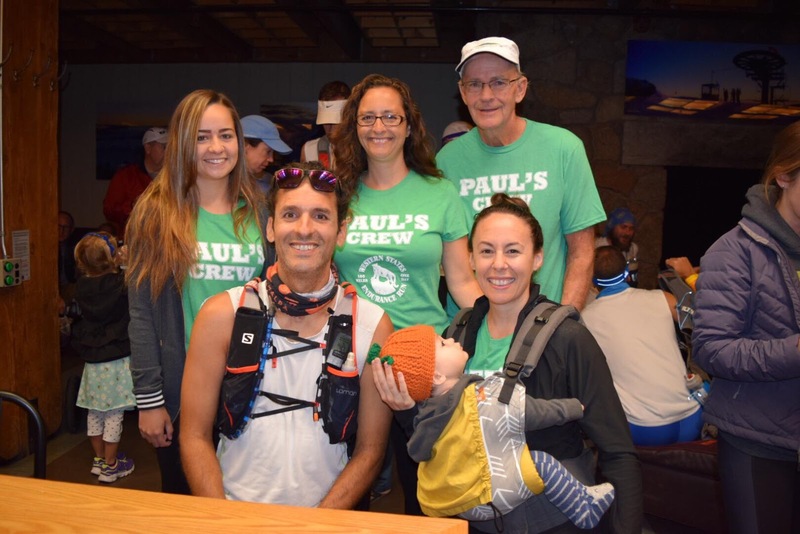 Spending less than 90 seconds there, I had maintained my 40 minute cushion ahead of the cut-off and ran onward to begin the precipitously steep section of trail down to Swinging Bridge and on towards arguably the most difficult climb of the course up to Devil's Thumb. 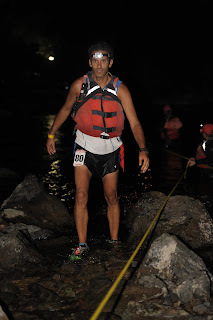 Arriving at Swinging Bridge, mile 46, was a bit of a relief. 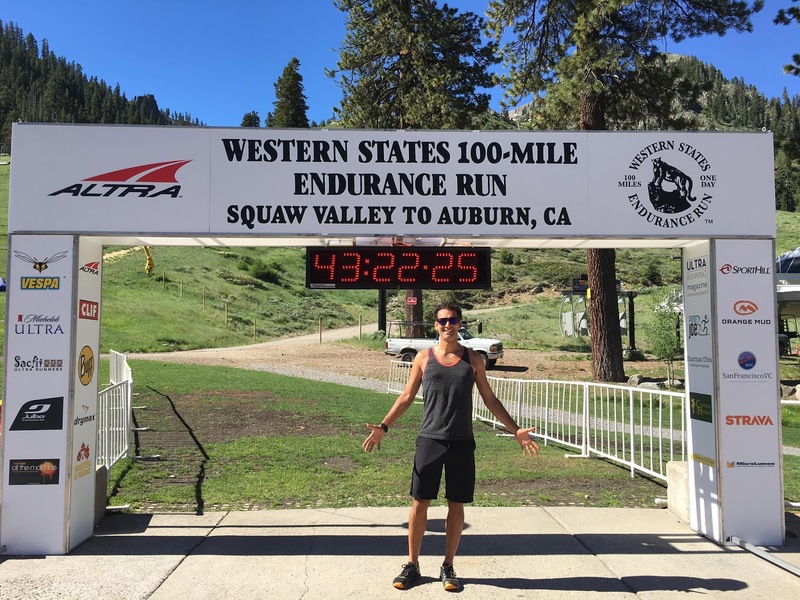 I was now squarely planted in the stretch of trail that I was most familiar with and had become most comfortable with in training. Since the end of January I had completed 12 runs of 30 miles or more in these canyons. For several months this had become my home on the weekends. 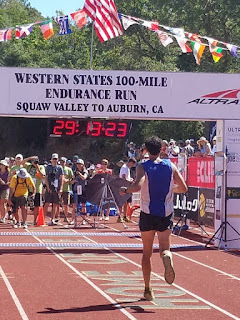 On this day, in defiance of my preparation, the climb to Devil's Thumb and the course of the Western States 100 dealt one final blow to my confidence and spirit. I trudged desperately, clambering up the relentlessly steep switchbacks towards the aid station. After a 40 minute climb the aid station materialized and with it, friends bearing popsicles, vegan soup, and smiles. I said my hellos and as I waited for my pack to be loaded up with ice and water, planted myself in a chair for what would be my longest rest of the race. I sat talking with a friend. Shortly after 6:30 pm, more than 13 hours after I started, I cried for the third time of the day. I let out the loneliness, the despair, the frustration, the debility, the doubt, and the fear. I embraced the resolve, the desire, and the grit. I refocused on the the goal. The only thing that mattered. I asked, "Is there anyone at The Pump? No. Is there anyone at El Dorado? Yes, full aid at El Dorado Creek." Eight minutes after my arrival, I left the Devil's Thumb aid station. My cushion on the cut-off had shrunk back to 21 minutes. I knew the trail here provided a few tenths mile of flat and gentle downhill terrain before a steep climb of a couple hundred yards. I decided to walk and eat/drink to the top of that hill. I was four miles from El Dorado Creek. Seven miles from Michigan Bluff. I had planned to be at Michigan Bluff closer to 6 pm than 7 pm. Reality would put me there after 9 pm. 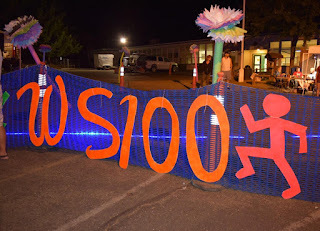 Knowing that one's chances of finishing Western States drop significantly when leaving Michigan Bluff after 9 pm, my goal now was to get there as close to 9 pm as possible. At this point I had experienced a moment of clarity, with respect to how my body was working. Any lingering illness I may have had seemed only to be affecting me on steep uphill sections and I had completed the three most challenging climbs on the course (the Escarpment, Robinson Flat, and Devil's Thumb). Furthermore, I had consistently made up more time on the downhill stretches than I had been losing on the uphill sections. Four miles to El Dorado Creek and I wanted to be there in 45 minutes, at 7:55 pm, giving me a little over an hour to suffer up the 3 mile climb to Michigan Bluff. I ran gently on my home court down to El Dorado, arriving at 7:54:27 pm. I was as excited at the accuracy of my predicted arrival time as I was to see my friends Erin, Sarah, and Janae. I chatted with them excitedly and briefly for maybe 20 or 30 seconds, before grabbing a few sips of Coke and embarking on the climb to Michigan Bluff. The confidence I had gained from my realization that I just sucked at climbing uphill today, but that I would recover and make up for lost time once I reached the top, made the uphills from here on considerably more enjoyable. 9:05 pm, I charged into Michigan Bluff to the raucous cheering and hollering of the crowd, my family, whom I saw for the first time since before 5 am this morning and crew among them. 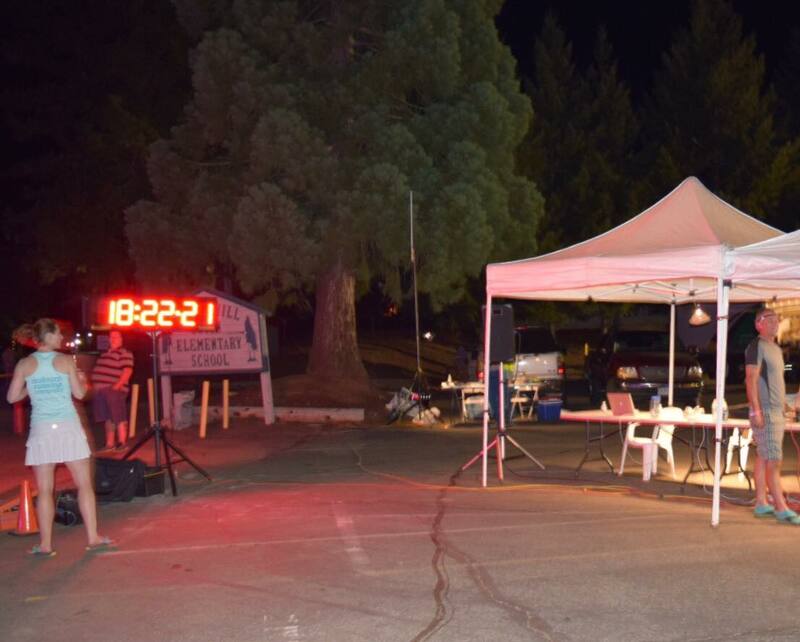 Sixteen hours ago during the 3rd mile of the race, I never thought I would make it this far, yet here I was. I quickly made my way to my crew station. 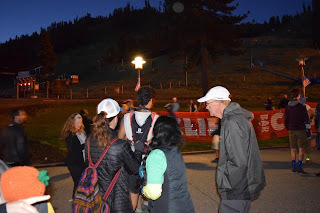 It is true that the majority of runners leaving here after 9 pm will not finish, but that is because runners here this late are typically weary, bruised, beaten, in pain, and are struggling to progress on the trail. I was feeling fresh, focused, and strong. I laughed, smiled, and joked with my family and friends as I changed socks and again reloaded my supplies. Five minutes after I arrived I headed into Volcano Canyon on the 6 mile trek to Foresthill. 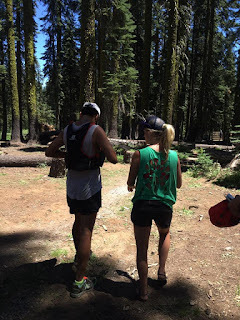 I now had the company of five-time Western States finisher, Karyn Hoffman, my first of two pacers. I caught her up on my day and my condition, asking her to be patient with me on the climbs and that I would make up for it on the downhills. 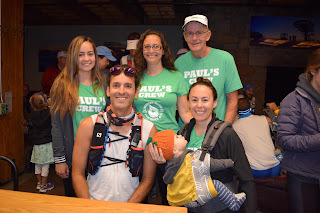 I was charged from the energy of my family and crew and drew strength from the coming night. My amazing family and crew! Best support EVER. Clint was pissed because he was "the foot guy" and I had no foot problems. We made quick work of Volcano Canyon and were climbing up Bath Rd. to Foresthill in no time. I walked the entire steep incline of Bath Rd. up to Foresthill Rd, working to keep my heart rate in check. We made the left turn onto Foresthill Rd and ran the 3/4 mile stretch to the aid station at the 62 mile mark. I changed my shirt, brushed my teeth, and did the regular reloading and refueling. 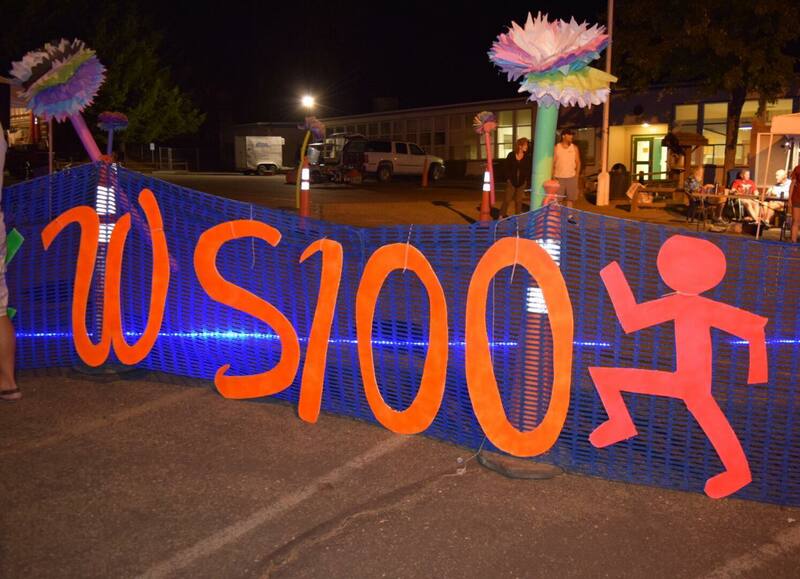 Family and friends are allowed to join runners for a half mile or so from Foresthill down to California street. I scampered down the road in the company of some of my favorite people. Karyn and I cruised nicely down to the Dardanelles aid station, averaging ~12 minute miles for the section and kept moving well enough on to Peachstone, where at 1:27 am, I was a full one hour three minutes ahead of the 2:30 am cut-off. 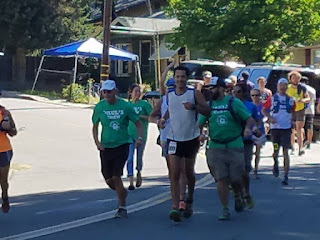 We were passing some runners and leap frogging with others, including my friends Alison (in the race), Chris Jones (pacing Alison), and Martin (pacing the Irishman). 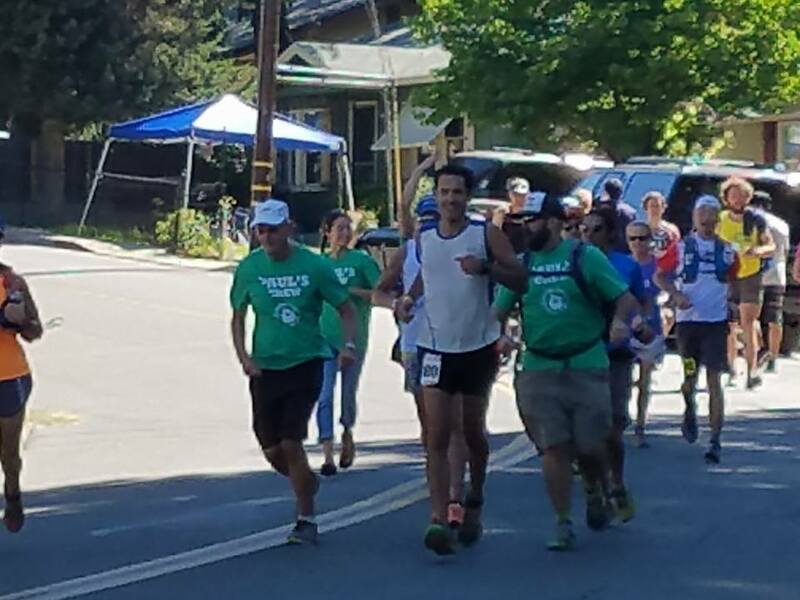 Confidence and determination had filled my spirit and I was beaming with excitement at the prospect of reaching the finish line in Auburn. I had 9 1/2 hours to cover 29 miles. I was beginning to smell the barn. 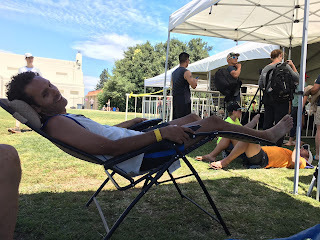 My focus was changed from distancing myself from the cut-off (I had built a fairly safe cushion) to preserving my body and avoiding some sort of traumatic injury (due to a fall) that could prevent me from finishing. I remember thinking to myself "I don't give a F if it's 150 miles, nothing's stopping me." Karyn and I making it down to Rucky Chucky. Mile ~75. 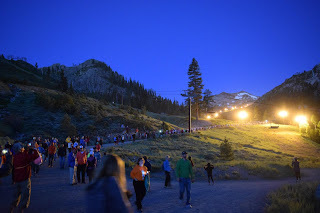 Three days after the race, the Trailhead Fire ignited. As I type this, homes in Foresthill are threatened and the fire has grown to 2,500 acres, with little containment. We moved steadily through the night running gently on the downs, running and walking with purpose on the flats, hiking slowly to prevent my heart rate from getting out of whack on the climbs. We made it to the river, mile 78, 3:37 am, seven hours twenty-three minutes to cover 22 miles. Alison, Chris, Karyn and I were happy to see your friend Tony who was volunteering at the river crossing. Into the cold, dark water we went, across and up to Green Gate, mile 80. Quick party at the river crossing. Coming out of the river. Mile 79. 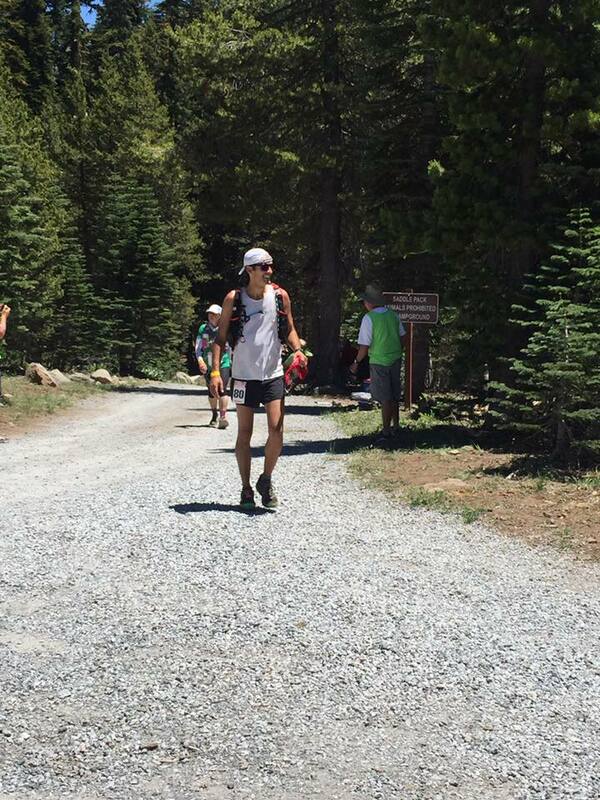 The two mile, 1,000' climb to Green Gate was uneventful. I continued to feel exceptionally weak when climbing, as had been the norm since the start, but my buffer was strong at this point and I had not been concerned with my pace on the climbs for hours. 4:23 am at Green Gate. One hour seventeen minutes ahead of the cutoff. Six hours thirty-seven minutes to cover twenty miles. My man Jerry S was waiting for me at Green Gate and was ready to pace me to the finish. I changed shoes and socks here and should have put some Sports Stick or anti-chaffe cream on my feet at this point, but I didn't. I thanked my superstar pacer, Karyn and we parted ways. Maybe two miles out of Green Gate, I started to feel what would be the first and basically only acute pain I would feel for the entirety of the run. A skin-fold and blister started to form on the pads of both of my forefeet. It started hurting pretty bad and was definitely preventing me from running as fast as I'd like on the flats and downhills, but in no way was I concerned that it might keep me from the finish. 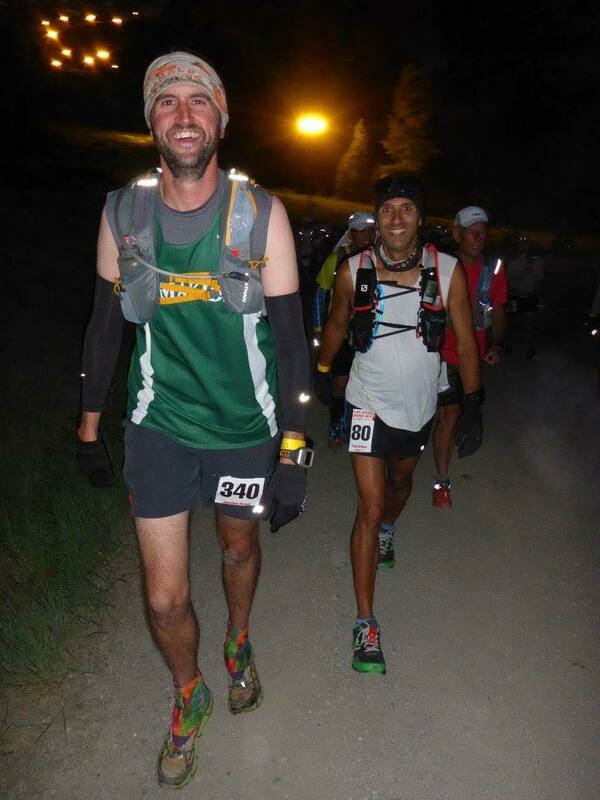 Jerry paced me at Miwok 100k last year and did an awesome job motivating me to push for a sub-15 hour finish there. 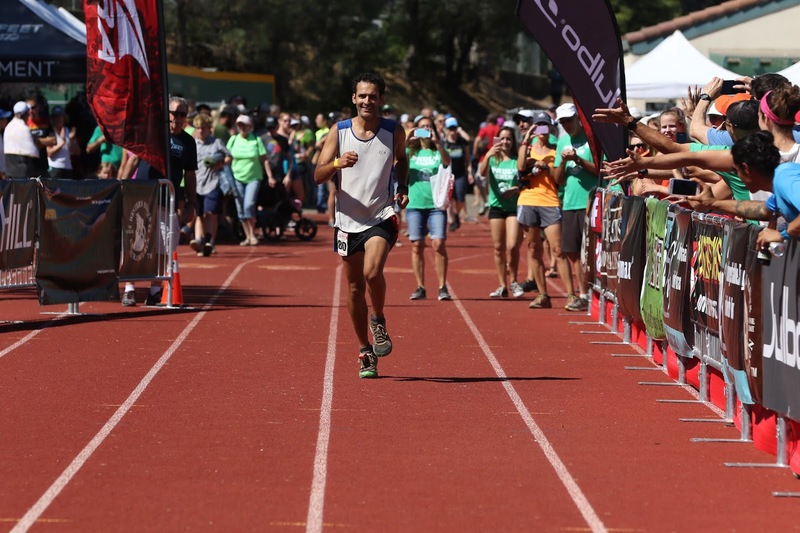 He was working on me to do a similar thing here trying to get me to pick it up for a sub-29 hour finish. This time however, he was unable to convince me. My goals going into and during this race were very much separated from time (aside from the 30 hour race cutoff). 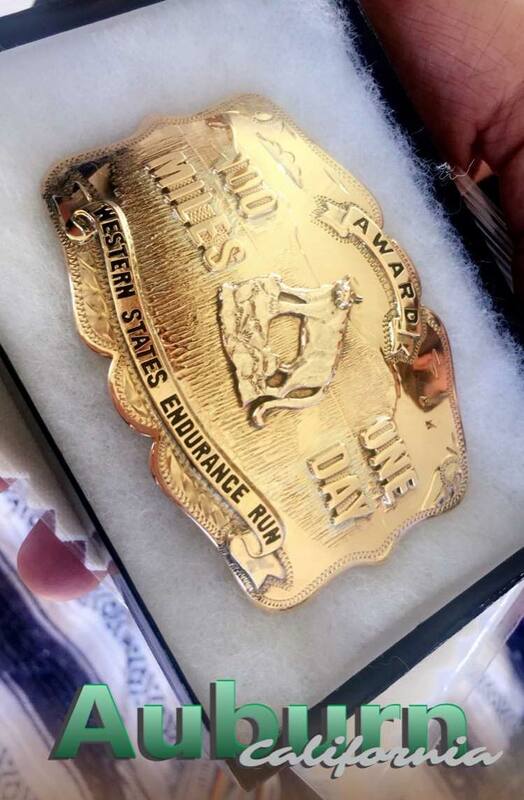 I was purely focused on getting back to the Placer High track in Auburn and securing a coveted buckle. I've wanted that more than anything, more than words can describe, for so long. For the second time during my run, the sky began to glow in the east. Singing birds brought life back to the forest. We ran through Auburn Lake Trails, mile 85.2. Through Brown's Bar, mile 89.9. At times, when the tall evergreens of the forest gave way to smaller shrubs and brush, I could see the hills of Auburn across the American River canyon, the last canyon that would attempt to impede my progress to the finish. Leaving Brown's Bar I had three hours forty-five minutes to cover 10 miles. We were not quite ready to celebrate yet, but I was able to get Jerry to give me a high-five. Making the turn up to 49. Heavily marked after Jim Walmsley's unfortunate miss. Hoping I could do something to alleviate the pain in my feet (mostly my left) I asked Jerry to send a text out to see if someone could bring me a shoe/sock change to the mile 93 HWY 49 aid station. We arrived at HWY 49 at 8:23 am. 2 hours thirty-seven minutes to cover 6.5 miles. I arrived just ahead of my family who I heard cheering for me from one of the shuttle buses. 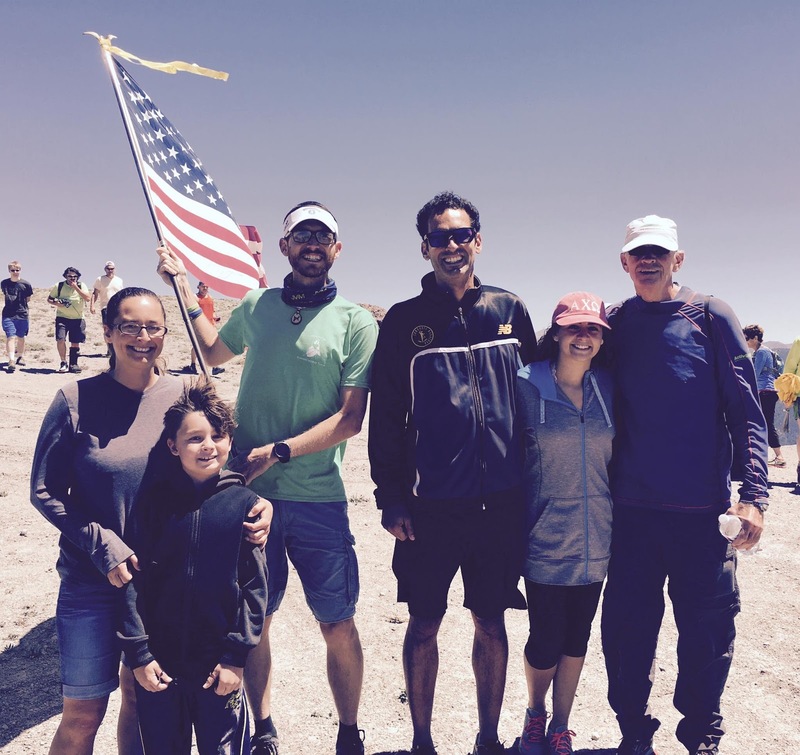 My crew was there and as I passed through the aid station, they yelled out, "we have your socks!". "Nevermind! I don't care (about the pain in my feet) anymore! ", I replied and started on the climb up to Cool. For maybe the first time since Wednesday I was able to push my pace while going uphill. Passing through the HWY 49 Aid Station with Jerry. We quickly reached the golden meadows of Cool and then the three mile downhill stretch to No Hands Bridge. I ran gently and cautiously downhill making staying upright my only priority. At the slightest sign of rocky or technical terrain I would transition to a fast hike and begin running again when it smoothed out. No broken bones. 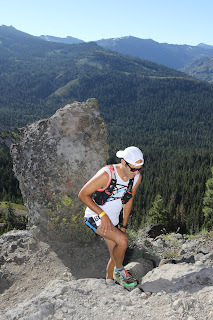 We continued to pass runners and cruised by the turn to K2 and a hundred yards later were descending to No Hands. I heard my Mom excitedly declaring "Here he comes! Here comes Paul!" My Dad doused me with ice water. I shared some cheerful hello's with my parents, sister, niece, and nephew, who I had not seen since Foresthill, 36 miles, 10 hours, and one night ago. Half mile to No Hands Bridge! My friend Diane greeted Jerry and I at the bridge and we all began the final ascent of the race! After 28 hours of running and over 17,000 ft. of climbing, I had arrived at the last canyon slope. 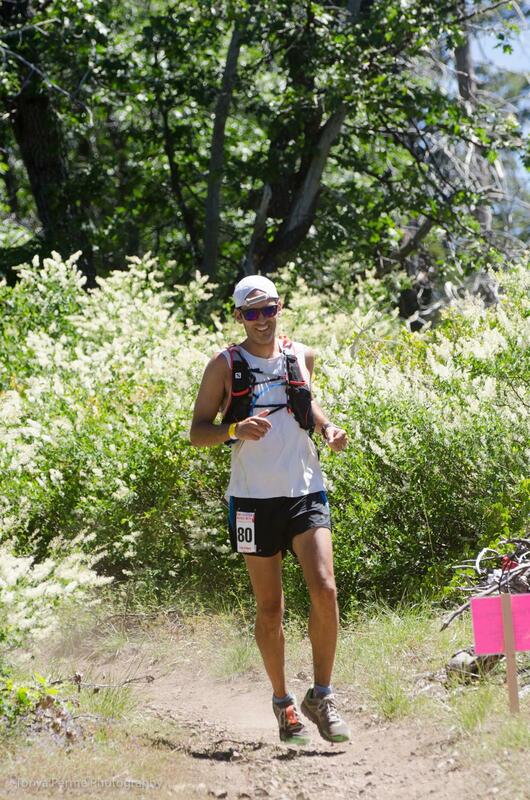 Having completed all of the technical downhill running of the course, I knew that injury would not stop me now. As I continued up the hillside with great intent I thought to myself "what could stop me?". Looking down at my feet and the tall dry grass on the edge of the hot, dusty trail, I thought "Rattlesnakes! A rattlesnake bite could stop me." I moved to the middle of the trail, eliminating the rattlesnake threat. I was bitten by no rattlesnake. Gazing up the hill on the trail, two large, happy dogs were frolicking down the trail ahead of their owner. "Dogs! I could be attacked by dogs. That could stop me." I eyed the dogs distrustfully. The playful companions did not attack. Driving my legs upward, the Robie Pt. aid station fell into my sight. The final push to Robie Pt. 9:56 am. One hour four minutes to cover 1.1 miles of paved road. Certain I would be hit by a car short of the finish line, we marched up the last incline of the course. 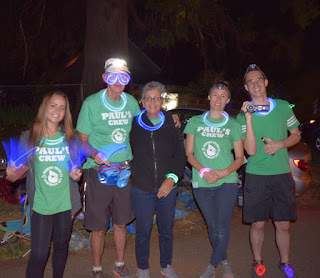 My crew and first pacer, Karyn were all at Robie waiting and cheering for me. I was elated. The reality of a Western States 100-Mile Run finish happening for me was here. I had an entourage. We banded together, cresting the hill and I began to run. I remembered the permanent 'mile 99' sign and ran over to take a picture with it. I lept over the drainage, grabbing onto the sign to hold myself up for a quick shot, and ran off again. Jen, Charito, Kristina, Roger, Mary, Clint, Sam, Paulo, Karyn, Jerry, Diane, Beth, and a handful of other friends (whose names I'll add as I remember it all!) were all charging down Marvin Way with me. We hit the white bridge and made the sharp left onto Finley. Making some moves that I would not have in another hour after my legs stiffened up. It was really happening. The moment I had dreamed of and visualized hundreds of times over the last several years. Frequently on the most typical of training runs, years before I'd ever gained entry to the race, my mind would drift to this moment and bring a tear to my eye just thinking about it. I ran out in front of my group feeling them all with me, but also having a moment to myself to take it all in. I ran fast and easy. Everything felt perfect. No pain. No bad. All good. In the blink of an eye I was turning left onto Stadium Way, up the step and down the ramp onto the Placer High School track. Emotions burst through my veins and tears flowed. 300 yards to go. I did my best to feel and absorb everything. Friend's I'd not seen since Squaw or remote parts of the high country gave me high fives as I approached the turn. Tropical John, the emcee, had introduced me on the loudspeaker, mentioning that I'm the proud owner of two small burros. 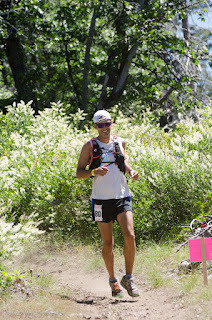 Rounding the corner, I picked up the pace a little more and flowed into the final stretch. It was all right here in front of me. My dream had become reality. Impossible was possible. All of my hard work and training got me here. I crossed the mat. 29 hours 13 minutes 26 seconds. I hugged Craig. I got a medal. My family and friends were everywhere. I hugged and thanked them all, laughing and crying and enjoying the moment. It was everything I imagined it could be. I still can't believe it happened for me! Finley St. making the turn to Stadium Way. 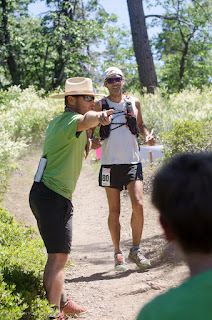 High five to Dan, who I ran with near Red Star Ridge the previous day as he ran safety patrol. Charley bringing home finish number NINE! Nine time finish, my friend Charley Jones! A bit on my training, HERE. 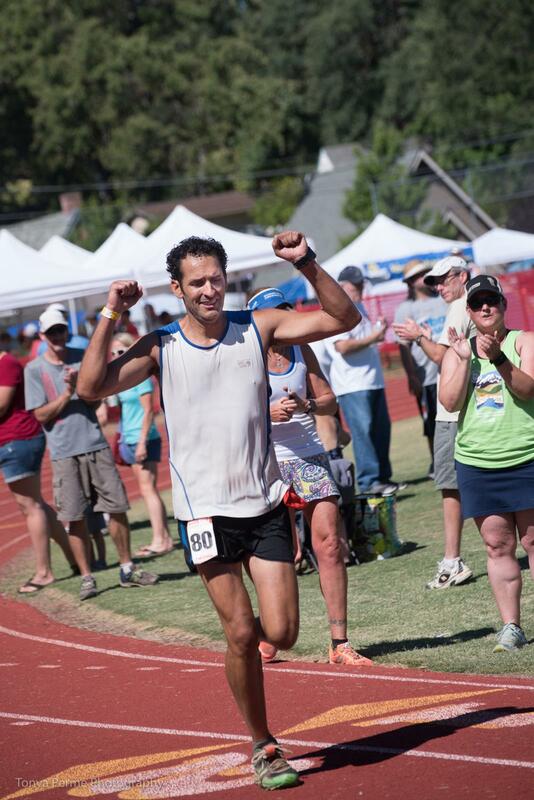 Training summary: 6 months, 1,400 miles, 195,000 ft elevation gain.